PwnageTool 3.0 has been released by iPhone dev team. Although it is only released for Mac OS X only for now, Version for other OSes will follow soon. This page will be updated with the links as soon as they are out. 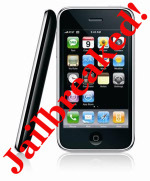 Current releases only work with iPhone 2G and iPod touch 1G. You’ll need iTunes 8.2 to Jailbreak and Unlock iPhone 3.0. This is the low down on our tools for use with the 3.0 firmware from Apple, read the whole post in full before attempting anything. Because of some bugs and unexpected changes this will be a multipart release, starting with the release of PwnageTool for Mac OS X. QuickPwn for Mac OS X and Windows will follow sometime soon, please donâ€™t bug us about it, we are working flat out to get everything finished to release them. Download QuickPwn 3.0 for Windows: Coming Soon. Download QuickPwn 3.0 for Mac OSX: Coming Soon. A Step by Step Guide will follow soon.